Just near the Barwon Heads Bridge in the Frank Ellis Reserve, is a well-known playground that is very popular with both locals and tourists. The playground has a fantastic range of play equipment for all ages, including a large 'spider web' climbing frame, roundabout, circular 'saucer' swing, slides, monkey bars, flying fox, wooden boat climbing structure, small 'bouncy' boat, and much more. 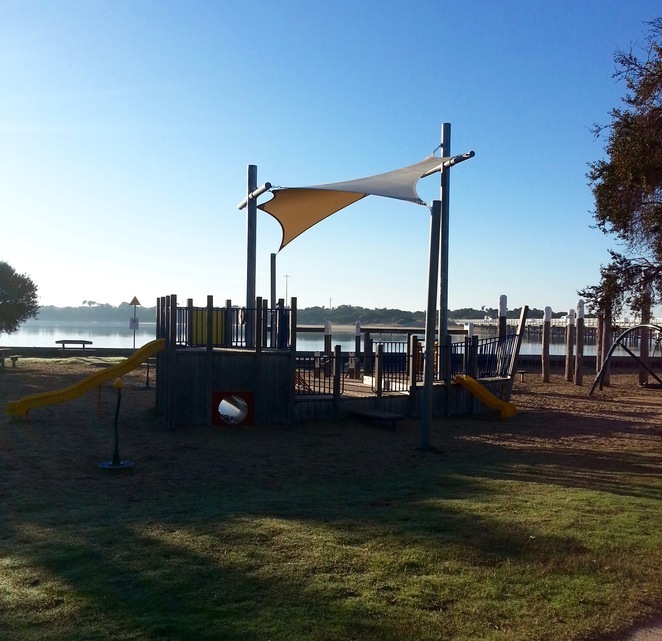 The variety of equipment offers something for all ages and abilities, with the small "toddler-sized" slide and bucket swings perfect for younger children, and the flying fox and rope climbing structure offering something more challenging for older children. There are several barbecues scattered throughout the park, seats and picnic tables, rubbish bins and water fountains. 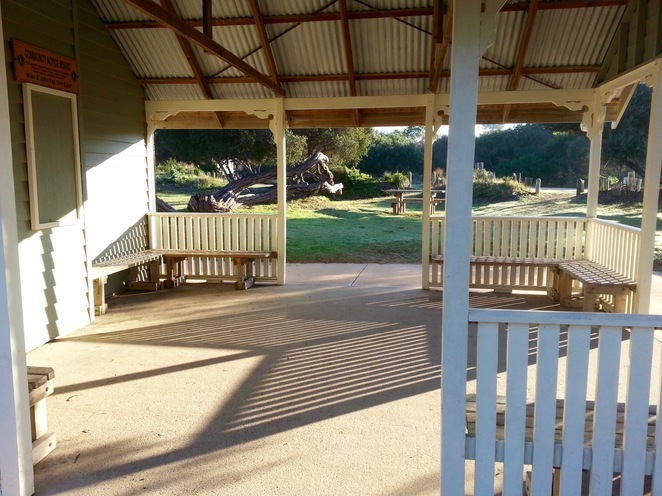 The facilities make it a popular place for children's birthday parties. 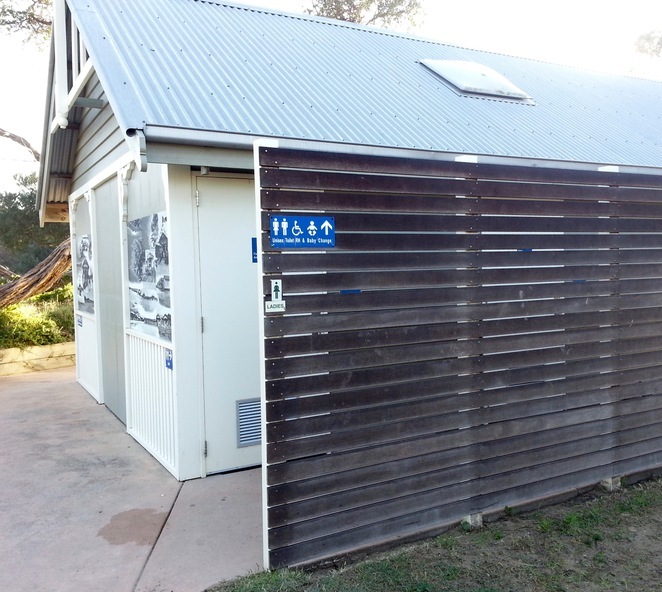 There is a toilet block (which includes baby change facilities) and a beach shower located 20 metres from the toilet block. 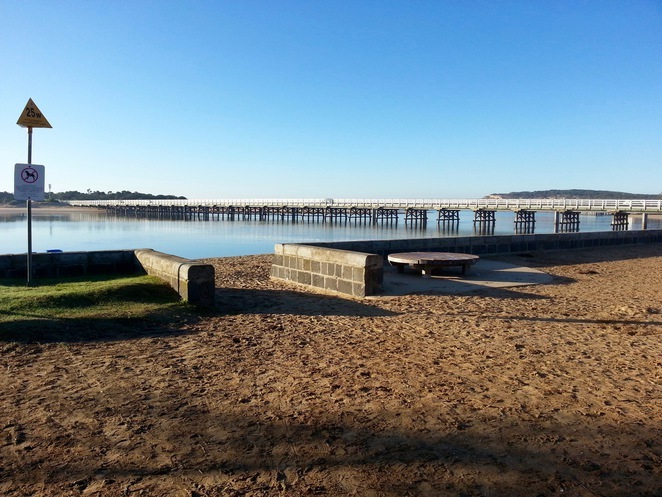 The adjoining beach is a calm, river beach which is very popular in summer. 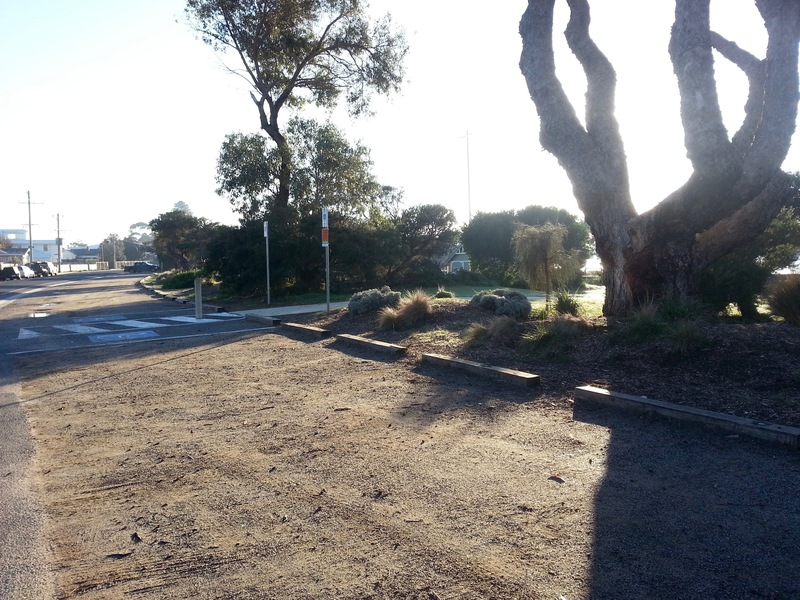 Parking spaces are available along the edge of Flinders Parade, with two designated car spaces for those who hold a disability parking permit, however the parking spots fill up quickly during weekends and school holidays. 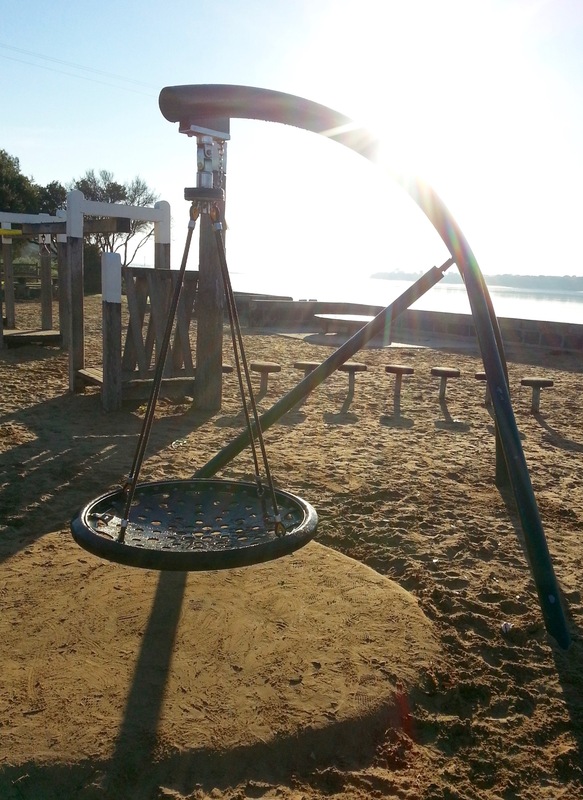 Bike parking racks are also located just inside the park. If you're looking for somewhere to grab a bite to eat, there are plenty of shops nearby, including the IGA, takeaway shops, cafes and the Barwon Heads Hotel. Shade: There is some shade provided by trees, but it's limited. The large boat play structure has a shade cloth above it, and there is an undercover area near the toilet block. 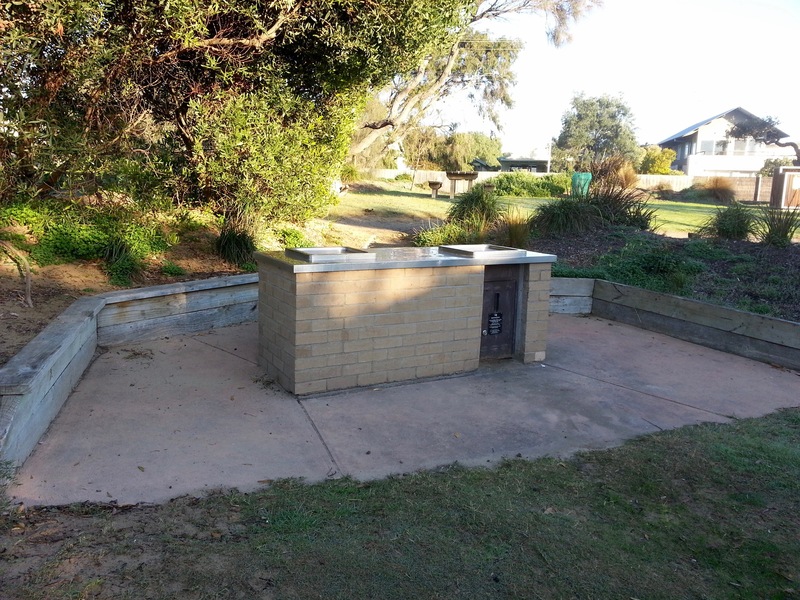 Shelter: Shelter is available near the toilet block. 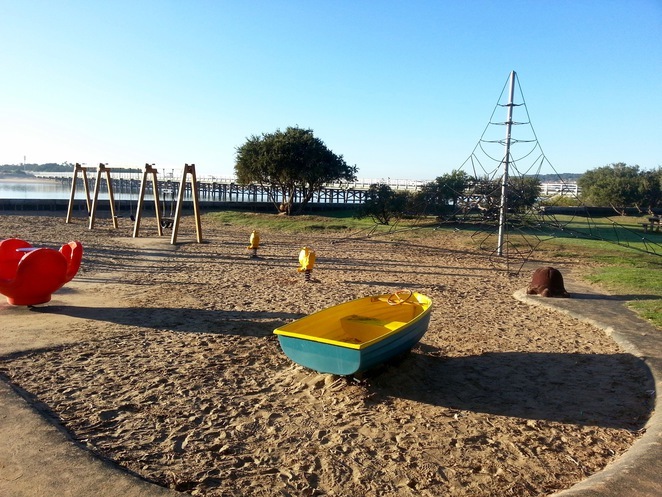 Safety: There are no fences surrounding the playground, aside from a small brick wall which borders with the beach. There are roads nearby as well, so if you have children who wander then you'll need to keep an eye on them. 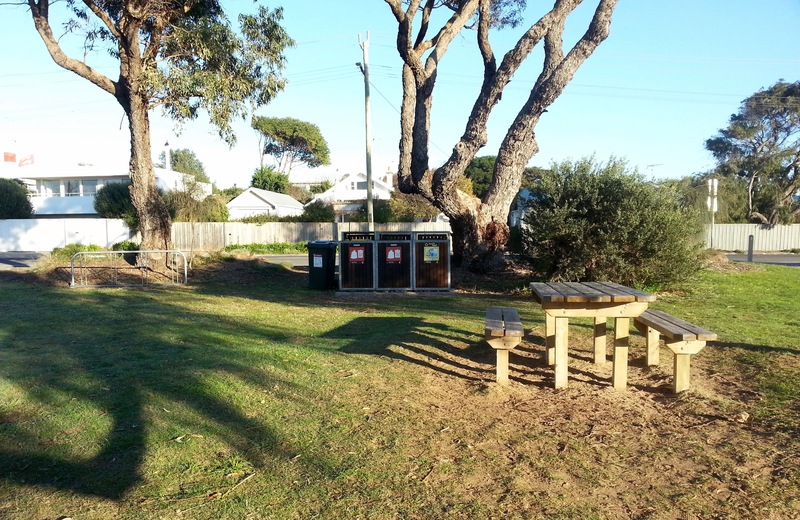 Rubbish Bins: Yes - both rubbish and recycling bins are provided. Dogs permitted? 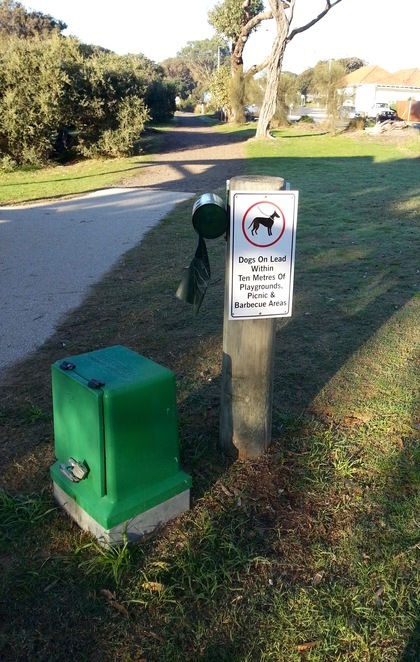 Dogs are permitted in the surrounding areas, however they are required to be on their leash within 10 metres of the playground and picnic areas. 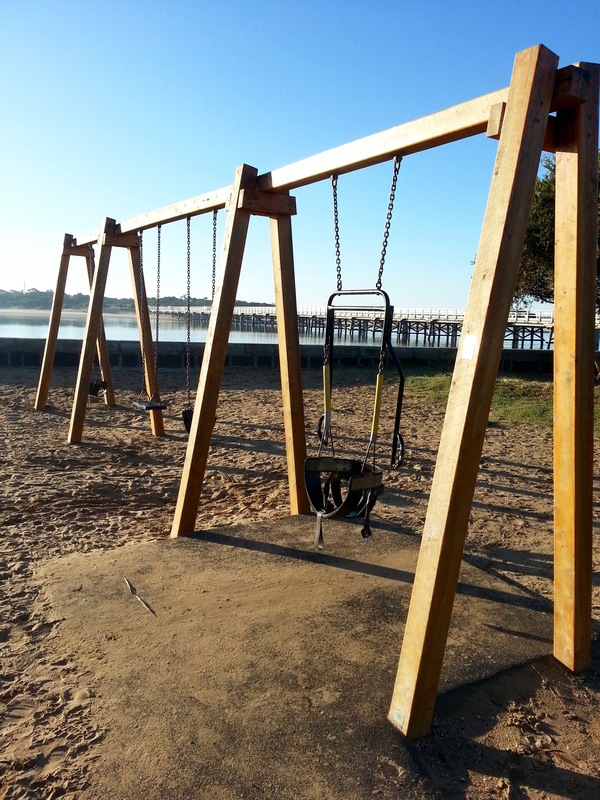 The nearby Barwon Heads River beach also have restrictions in place at certain times of the year - see this map for further details. Dog waste bags are provided and are located near the bins at the playground entrance. Why? 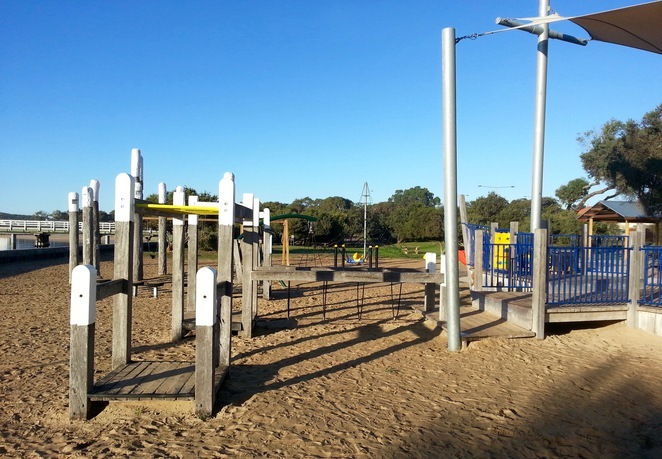 For an enjoyable day near the beach, with plenty of play equipment to keep the kids entertained.